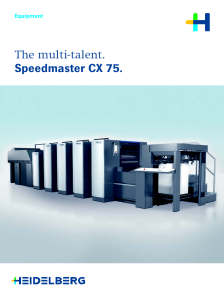 The Speedmaster CX 75 is the flexible straight-printing press in 50 × 70 format. There are no challenges in commercial, label, and packaging printing that it cannot handle, and no customer requirements that it cannot meet. Get to know the Speedmaster. Enjoy a private presentation with one of our team members, ask questions and discuss how the Speedmaster CX 75 can best be adapted to your requirements. Simply fill out the following form and we will be in touch to schedule and organize a meeting with you. The multi-talent. Speedmaster CX 75. I have read the privacy statement and accept it. Please accept the privacy statement. 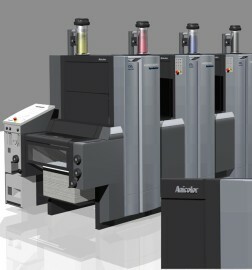 Since drupa 2012 all machines are available CO2 neutral.